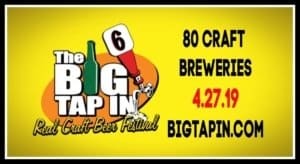 Big Tap In 2019 | Thirsty Dog Brewing Co. Blood Hound Orange IPA, Xahoo N.E. Hazy Juicy IPA and a Special Dry Hopped Cask IPA.